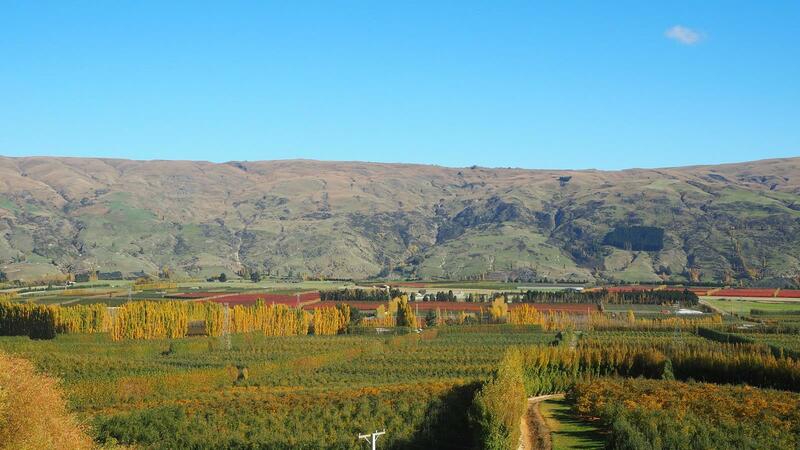 Perched on a sun-drenched terrace 50 metres above the Clutha River, Remarkable Orchards has a picture-perfect location with fertile, silty soil and an ideal aspect to grow quality fruit. The orchard began as a family partnership in 1994 and produces export cherries, apricots, nectarines, peaches and apples. Lured by a local girl, Sid settled in sunny Roxburgh East from Sydney, Australia, nearly 30 years ago. He didn’t know a lot about horticulture but he’s learnt a bit since then. Managing a complex, diverse fruit growing operation has many challenges and considerations. Increasingly sophisticated markets want food that’s traceable, grown sustainably and compliant with stringent international standards. There’s seasonal labour to organise, health and safety requirements to meet. While the demands are diverse, it’s the natural promise and delight of seasonal tasks that offer the most satisfaction. Remarkable Orchards faces industry challenges head-on. Diversification and progressive thinking have been critical success factors, allowing the orchard to weather the constantly shifting tides of the international marketplace. Half the 100ha property is planted in stone fruit—apricots, cherries, nectarines and peaches, while the remainder is in apples. As a custodian of the land, Sid knows the importance of safe and sustainable horticultural systems. The orchard mission statement says it all `to produce quality fruit in a manner that is both sustainable and environmentally responsible.’ And there’s looking after people as well. From October to May each year, Remarkable Orchards employs about 60 staff from across the globe who thin, harvest and pack crops. Remarkable Orchards is certified for Global GAP and Tesco Nature’s Choice. Fruit is also grown to the safety and sustainability standards of the Integrated Fruit Production (IFP) programme. These three accreditations assure consumers that the orchard minimises the use of chemicals, practices good agricultural methods, operates in an environmentally responsible way and prioritises staff health and safety.